To be a good musician you must always focus on education on various aspects of music in order to broaden your field of expertise. This does not only make you a better artist but also gives you alternative revenue options such as becoming a music teacher as a part time gig. If you are ever thinking about becoming a music teacher as way of getting additional revenue as you build your music career, here are 5 essential qualities that you will need to focus on developing in order to be a great teacher. As a musician you may have a preference for a specific genre of music but as a teacher you will need to learn to love all types of music. This is mainly because you will be teaching students with different music preferences therefore you must never let your personal biases affect the way you teach them. When you have a love for all music you will be able to be neutral. Just the same way you communicate through your music you will need to be an excellent communicator when imparting knowledge on your students. Your ability to teach concepts in an interesting and concise manner to enable your students easily grasp it will be heavily reliant on your ability to communicate with a level of excellence. As a music teacher you must be able to connect well with your students and this boils down to your people skills. Just in the same way you develop a strong connection with musical instruments as you play them is the exact same way you will need to forge a strong connection with your students. You need to be humorous, attentive, caring as well as devoted to your students. As a music teacher, you must be committed to getting the best out of your students therefore you must challenge them enough so that they can dig deeper and push themselves to be the best they can. Never let your students settle for mediocrity because you as an artist would not want the same for yourself. A good teacher is as much a student as he/she is a teacher. The more you are willing to learn and improve yourself, the more you will be willing to push your students to also learn and improve. As a student yourself, you will also be able to put yourself in the shoes of your students and this will enable you understand them and their needs better. Be sure to work on honing these qualities and you can be guaranteed not only to become a great music teacher but also a great musician. As your career progresses as an independent artist, it may get to a time when things may get too much to handle on your own. When such a time comes, you may have to consider consulting a manager to help you out with the commercial aspects of your music. Composing and producing your music is hard enough, therefore you may need a hand in distribution, publishing, licensing, performances and so on. If you feel as though you are at this point in your career, these are the 4 top qualities you should look out for in a good music manager. Before you decide on working with any manager you must first establish their level of experience not only in the music industry but in your type of music. Here, it will be important to thoroughly vet their references to verify whether indeed the manager is cut out for the work and what their success rate has been so far in their management work. They should be well versed in the music industry as well as in the financial aspects of the music industry. Being successful as a music manager is mostly down to how well connected an individual is. For the manager to be able to get the best events, negotiate the best deals, organize radio, TV and magazine interviews, and many more, they have to know the right players in the industry and this will be dependent on how well connected they are. It’s therefore important for you as an artiste to settle on a manager who has this quality if you want them to add value to your music career. Once you get a music manager on board, you basically give them the responsibility of mainly handling the commercial aspect of you career on your behalf. They therefore will be in charge of negotiating your contracts, handling logistics, and many more. Such work will therefore require someone who is honest and trustworthy. You must rely on both your gut feeling as well as a thorough background check to ensure that you settle on someone who meets this criterion. As we have mentioned above, your manager will be predominantly responsible for handling the commercial aspects of your career its therefore important to pick an individual who is him/herself financially responsible. Their ability to handle your financial matters will be heavily reliant on their ability to handle their own financial matters. Therefore a thorough background check will be very essential. All in all, the manager you select to work with should be someone who will be committed to looking after your best interests therefore you need to take your time and patiently look for the best person for the job. As we said earlier, it’s a process that will rely both on your gut feeling as well as due diligence. As an aspiring or an established musician looking for a good music producer to work with, you must learn to think not just as an artiste but as a HR professional in order to select the best producer. You must remember that you are selecting from a large pool of producers therefore you must think like a HR professional interviewing a couple of candidates for a job. At the end of the day, the producer will be your employee meant to achieve agreed upon deliverables. As you scout for a producer or producers to work with, here are the 4 essential characteristics of a good producer that you should look out for. When trying to identify a good producer, always look out for the one who is doing it out of love and passion for music and not for the money. The producer who loves music will be more focused on helping you produce the best project as opposed to wanting to find out whether or not you will be able to pay them for their service. You can easily tell this by their attitude as well as checking with artistes they have worked with before. It’s not just enough for a producer to love music, they must also have the technical skills necessary to operate all the studio equipment. This is also an extension of their passion for the job because it’s this passion that will drive them to learn everything there is to learn about the production process including operating studio equipment. In addition, their technical skills in the studio are an indication of their level of experience in music production. A good producer is one who focuses on relationship building with their clients and not just one-time deals. This characteristic gives you a clear indication of whether the producer will care about your long term success or whether all they want is your money so that they can move on to the next client. The benefit of working with a producer who is good at relationship building is that they will be able to offer assistance beyond just recording because they have forged good relationships with other players in the industry such as DJs, radio presenters as well as event organizers. When looking for a producer to work with, it’s important to find on who has their own unique identity that is they don’t go with the trend, they transcend trends and produce music that is unique to them. This is the kind of producer who will help you produce music that will stand out and not just sound like everything else in the market. The producer you choose to work with will hugely impact the quality of your final product therefore you should ensure you take very seriously the process of selecting a producer. If you take into consideration the above points, you can be guaranteed of a job well done. Audio equipment can be very expensive investment for any musician or sound engineer. If you take good care of your audio equipment, it will take good care of your wallet by repaying you with long years of service. We have compiled a list of useful tips to help you take better care of your audio equipment so that it will not let you down in your hour of need. Here’s a fun fact: Your audio equipment is most vulnerable when it is not in use! Apart from standard wear and tear of the needle, motor, cords, the biggest damage that can happen to your audio equipment is from dampness, neglect and mishandling. Do not let non-crew members set-up or dismantle your equipment. Sure, it is great to have more hands on deck when setting up or taking down your equipment but you also risk damaging your equipment in the hands of the untrained. Untrained helpers may drop the microphone or carelessly handle sensitive audio equipment. And when disaster strikes, do you blame someone who was only trying to help? 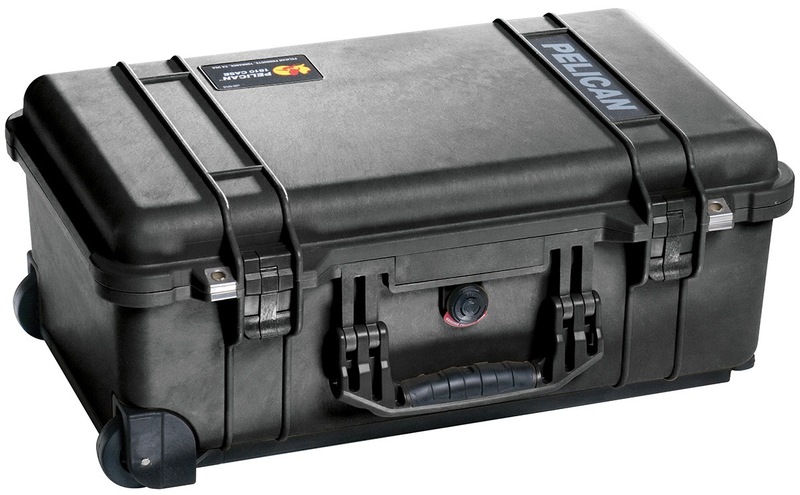 As much as possible, try to use transport cases to store your audio equipment. 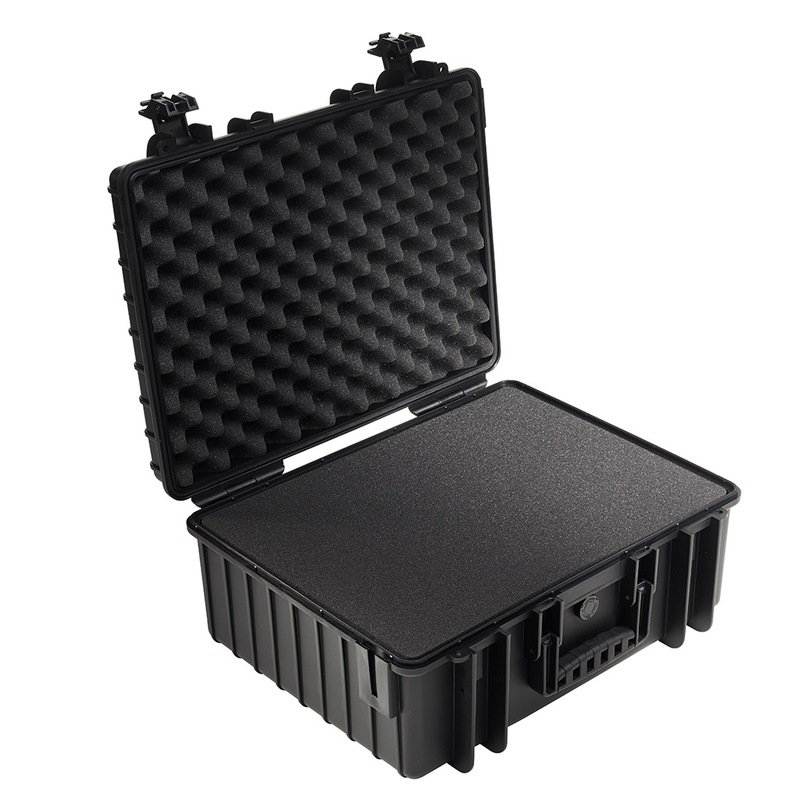 Many of these transport cases have very durable and shock-resistant cases and they also come with added foam padding. Take for example the transport case below — it is watertight, crush-proof, dustproof and it keeps water vapour from entering with an Automatic Pressure Equalisation Valve. If you are interested in the before-mentioned transport cases, you can easily find them on eezee.sg, a local industrial hardware store. Audio equipment should never be kept near damp places or humid spaces. High humidity causes electric contact surfaces to slowly corrode and the more moisture there is in the air, the faster the corrosion. Especially in humid Singapore, it is not recommended to even leave your equipment ‘unprotected’ even for a short time. If you store your equipment for any period of time, be sure to store it in a dry place and to use a film of protective material like WD-40 to protect the electric contact surfaces i.e. plugs and sockets. Slowing down the corrosion process will lengthen the lifespan of your equipment. Oh Eezee also sells WD-40 just in case you need it. Sound equipment are extremely susceptible to extreme heat, if stored in a wet and humid environment. Always store away your equipment in a dry environment. Also, dust and foreign materials may accumulate on your keyboards, microphone or turntables. If you are unable to store away your equipment in a dry place, remember to at least cover your equipment to prevent dust or insects from entering into your equipment. Termites have been know to decimate speakers made of wooden materials. We hope that this article has given you some helpful tips to help you take care of your sound equipment. Take good care of your sound equipment and it will take good care of you. Internet technology has made it much easier and cheaper for artists to market their music brands. Through ecommerce platforms such as social media, streaming platforms, and many other music platforms artistes can be able to independently market their music without having to rely on mainstream media such as TV and Radio stations. With a good online strategy in place, an artiste can now expose their brands with ease to the international market. Social media is a platform meant to be interactive therefore it is the best tools to enable you to interact with your fans from across the globe. Taking the time to respond to their feedback, like their posts and even tag their posts will give them a feeling that you care about them and this will help build a stronger relationship with the. You can also use the same platform to launch or preview your new music, announce dates and venues for your performance and even sell your music. The more your presence online, and the higher your level of interaction with your fans in the online space, the more there will be awareness about your brand. Social media has been structured in a way that information can be shared very fast to millions of people globally therefore the more your fans share your content within their networks the more the awareness about your brand is spread.All you need to understand is what information your fans like and ensure you give it to them. When you do the above two points consistently, you can be guaranteed of a great improvement in brand loyalty. When your music fans feel that you are paying attention to them and that you are close to them, they in turn will become more loyal to your brand. Social media provides for real time interactions which your fans will value and are likely to go out of their way to spread a good about. Through social media you can determine how you want your fans to perceive your brand. This can be determined by the information you share through photos, videos and words, your opinions and perspectives. You can deliberately influence a clear brand image that you want and this will be dependent on what you communicate. Its therefore important for you to have a good strategy for online and this should extend beyond merely ecommerce but also brand building. This has to be a deliberate and well calculated plan. As an artiste, especially an independent artiste, the quality of the music you produce matters a lot. It’s for this reason that you need to be able to identify a great recording studio where your music will be produced in order to ensure that it’s of the highest quality. It’s only high quality music that will be played by radio stations and DJs. Here are a couple of tips on how to select a great recording studio. When you go to a recording studio to record your music, you’re not just there because of their equipment but also to improve on your music. A great studio is one whereby the team will give you constructive criticism to strengthen your song as opposed to just recording it without giving you any advice on ways you can improve it. As an artist you should also be ready to take the constructive criticism and know what advice to take and what not to take. The quality of music a recording studio will be able to produce for you will be highly dependent on the quality of their equipment and how well it has been maintained. The instruments should be able to produce the right sounds, the microphones should be able to record quality audio, the speakers should be able to produce quality sound to enable you hear what you are singing and so on. It’s therefore important for you to first test out the equipment before you pay for the studio. It’s not enough for a studio to have the right equipment which is in great functional order, it also needs to have employees that have a mastery of the skills required to operate these equipment. You need to work with a team that will be able to give you the proper guidance while in the studio to ensure that at the end of your recording session you have the best possible work. It’s therefore important for you to get the right reviews from previous artistes who have been to the studio to find out whether it fits the bill. When looking for a studio to record your music you must always be aware that your recording sessions may get compromised for one reason or the other resulting in them getting corrupted or lost. What makes a great studio is one that has a full proof backup system to ensure that all your recording sessions are protected from any harm and if they are damaged, you can access backup copies. All in all, the excitement of getting to the studio may end up causing you as an artiste not to take these considerations into mind and this may affect the final outcome of your music. It’s therefore advisable to take your time and purposefully plan your studio sessions so that you have sufficient time to do your due diligence. Many musicians are usually faced with a major decision about whether to pursue their careers as independent artists or whether to get signed by a recording label. Whereas each of these options has its own pros and cons, it’s always down to the individual artiste and how they want to run their musiccareers. Let’s take a look at 4 benefits of being an independent artiste. As an independent artiste you essentially own all the copyrights to your music because you are solely responsible for its production. This means that any revenue you generate from music sales all belongs to you. The same is not applicable when you’re signed to a label because in majority of the cases they own all the copyrights to any work they produce therefore as an artiste you actually don’t own any of the music. It’s the label that gets to decide how much they will pay you once the music has been sold. Being an independent artist, you’re basically your own record label meaning that you will get to keep 100 per cent of the profits you will make from your music sales. The same can’t be said of artistes signed to a label because they will only earn a percentage of the total profits and it’s mostly the label that will get to decide what percentage of these profits to pay the artist. Majority of the times, the labels actually earn more than the artists. One of the biggest benefits of being an independent artist is that you have greater control over your music career. You get to decide what music genre to focus on, the content of your music and when to produce it, as well as explore with musical styles that have not been covered in the mainstream. You essentially have the freedom to express your own individuality through the music that you chose to produce. The same can’t be said for signed artistes because all these decisions are made for them by the record label therefore the artiste doesn’t have any control over their career direction. As an independent artiste, because you have more control over your music in terms of what to produce and when to produce, you are more likely to structure it in a way that works best for you long term to ensure continuous revenue. When signed to a label you don’t have such freedom. Because record labels sign many artists, they have to create a time table for production and prioritize the artists they feel have greater potential to succeed. This means that you may end up being disadvantaged by having your projects shelved for months if the label doesn’t feel as though you’re among their top tier artists and this will affect your revenue generation. As an artiste, it’s therefore important to do your due diligence and weigh the pros and cons of each of these options before you decide on which will work best for you. We encounter musical instruments being played on an almost daily basis. Some of us are even players of some of these musical instruments. Have you ever thought about where these instruments are made? This article is dedicated at giving abroad overview on the companies that make these musical instruments that we enjoy listening or playing. Below are the top 5 musical instrument companies in the world. Yamaha Corporation named after its founder Torakusu Yamaha is a Japanese multinational corporation that focuses in the manufacture of a wide variety of products ranging from musical instruments, to electronics, to power sports equipment. It’s currently the largest manufacturer of musical instruments in the world with products such as pianos, guitars, drums, brass instruments, violins, woodwinds, vibraphones and violas. Gibson named after its founder Orville Gibsonis an American company headquartered in Nashville, Tennessee which majors in the manufacturer of guitars, among a host of other musical instruments. Since its founding in 1902, this company has sold millions of guitars under various brand names such as Kramer,Epiphone, Maestro, Tobias and Steinberger. The company focuses on the building of hollow and semi-hollowbody guitars. Fender named after its founder Clarence Leonidas Fender is and American company headquartered in Scottsdale, Arizona which majors in the manufacture of stringed instruments such as guitars, violins, mandolins, and many more, as well as amplifiers and public address systems. Fender is undoubtedly among the leading manufacturers of popular and quality music equipment that has been sold globally. Harman International Industries is an American company headquartered in Stamford, Connecticut and is one of the subsidiaries of Samsung Group. Harman which also has major operations in Europe and Asia manages over 20 brands which include JBL, Crown Audio, AKG Acoustics, Infinity, AMX, Mark Levinson, Lexicon, DigiTech, dbx, Soundcraft, Martin, BSS Audio and Revel. Shure named after its founder Sidney Shure is an American company headquartered inChicago, Illinois and majors in the manufacture of audio-electronics such as microphones,mixers, phonograph cartridges, digital signal processing and discussion systems. Other equipment produced include, high-end earphones, headphones and personal monitor systems. There are of course many other manufacturers of musical instruments but these are the ones we consider as the top 5 because they produce the instruments that will most likely come across in any musical event that you attend in many parts of the world. As a musician it’s highly advisable that you learn how to play at least one musical instrument. This is because you can’t just rely on your voice to produce music, you need instruments as well as they will help you come up with original tunes for your music. Here are 6 musical instruments you can easily learn how to play. The keyboard which is essentially an electronic piano is very versatile yet a low maintenance equipment that you can easily learn how to operate. Using a keyboard you can be able to recreate a wide array of musical instrument sounds and other synthesized tones. It’s a very good tool to start with before you can graduate to a piano especially because it’s portable. The piano is a very popular music instrument especially for musicians looking for creative expression. A piano will typically have 88 keys which you can use in any combination to produce a melody of your choice. Many musicians consider the piano the best musical instrument as it can help stretch the versatility of a musician. The recorder is a good blowing instrument to start with as a musician looking to learn a new instrument. It works just as a flute and is considered to be a cheaper alternative, and its main benefits is that it help musicians learn how to coordinate their breath, tongue and fingers all at the same time which is a very handy skill for a musician. The classical guitar typically has six stringswhich are strummed in order to produce a melodic sound.It’s an instrument that comes in handy especially during song composition because you not only come up with the melody for your music but you also come up with the musical notes. Once you have mastered the classical guitar you can switch to the electric guitar. It operates in the same principle as a classic guitar with the one main difference being that it’s designed to convert the vibration from its strings to produce electrical impulses using a pick-up. These electronic impulses are what are converted into sound. If you are still on the fence on which type of guitar you want, it’s advisable to use an electric guitar because it will give you more freedom for exploration. Drums are believed to be the oldest instruments. They are usually played through being struck using different tools from wooden sticks,bare hands, to wire brushes. There are drums that can be tuned whereas there are others that can’t. Learning how to play the drum set teaches a musician about coordination because it will mostly involve the use of both your arms and leg, as well as concentration as you follow the other instruments being played. There are of course many other instruments out there that you can learn how to play and it’s all down to your individual preference. As a musician looking to get into a successful music career, it’s important to know your market especially if you intend on getting your music to be appreciated internationally. At the end of the day, just like any other product, it’s the market that determines demand and the smart choice is to produce what the industry demands. We take a look at the top 5 music genres in the world. These are essentially the world’s most popular music genres among the fans. Blues have been around from the early 19th century and have managed to maintain their popularity among fans globally. These are songs that usually have plenty of melodyand will mainly target the listener’s emotions such as happiness or sadness. Many other genres of music have actually been influenced by blues. Classical music is undoubtedly a genre that can be considered among the most complex owing to the fact that it’s mostly shaped by traditional and cultural forces in the environment it exists. Case in point, classical music is different in each country where it’s produced as it brings out the unique cultural heritage of that country. It’s through classical music that a country’s gloried past such as portraying heroic tales of kings and other heroes and heroines is told. It’s however important to note that this genre is on the verge of decline due to the influence of pop culture. As the name suggests, pop which is short for popular is music genre that is predominant among young people. The pop craze started in the United States of America in the 1950’s and has been unstoppable since then. It has seen the production of songs that have gone on to become global hits. Pop usually focuses on portraying various aspects of life such as love, joys, pain and struggle, and the songs have catchy and danceable beats, with really good harmonies. It’s pop music that gave rise to Hip Hop and RnB. Rock music is a genre that is believed to have originated in the United States of America in the 1950s from what was popularly referred to as rock and roll and it gained popularity among teenagers and young adults. Rock music is typically produced using electric guitars accompanied by drums. Jazz music is undoubtedly the most popular genre. This type of music originated in the United States of America among African Americans in the state of New Orleans. Jazz music is mainly a form of calm, smoothand melodic sound that is typically produced using instruments such as trumpets, flutes, violins, and drums, amongst others. Many other modern forms of music especially hip hop and RnB can trace their roots back to jazz. As an aspiring musician, it’s important to learn all about these genres and how they influence the music industry before you decide on which music genre or genres you will focus on. You even have the freedom to come up with a whole new genre from mixing them up. All that matters is your ability to understand your audience and what they like to hear.